Asian shares were steady on Thursday, taking their cue from strong U.S. data though many markets failed to build on early gains in holiday-thinned trade and due to uncertainty about the impact of recent hurricanes on the U.S. economy. The Institute for Supply Management’s index of non-manufacturing activity rose to 59.8 in September, its highest reading since August 2005, pointing to the resilience of the vast U.S. services sector despite disruption from two powerful hurricanes. The data came after a surge to 13-year high in the survey of manufacturers as well as car sales at 12-year high, both released earlier this week. But analysts also cautioned that the data reflected temporary demand stemming from repair and replacement spending in the aftermath of the hurricanes. Data from private payrolls processor ADP showed monthly hiring slowed to an 11-month low of 135K, again due partly to disruptions from hurricanes, although this was better than economists’ median forecast. Economists expect Friday’s nonfarm payrolls report, one of the most closely watched pieces of economic data in financial markets, to show a similar slowdown. They estimate a payroll increase in September of 90,000, substantially lower than the average over the past year of around 175,000, though some say investors may need to pay attention to state data due on Oct. 20 to exclude the impact from hurricanes. U.S. President Donald Trump proposed a tax overhaul late last month but it remains to be seen whether the plan can get through Congress given the divisions among Republicans. Trump has promised to decide this month on a new chief for the Federal Reserve to replace Janet Yellen, whose term expires in February. High-rated bonds were affected by worries about Catalonia’s independence vote from Spain. The dollar edged higher against other major currencies on Thursday, as the previous session's upbeat U.S. service sector data continued to support, while investors looked ahead to a number of speeches by Federal Reserve officials scheduled later in the day. The greenback remained support after the Institute of Supply Management reported on Wednesday that U.S. service sector activity expanded at its fastest rate in 12 years in September. The data came shortly after payrolls processor ADP said the U.S. private sector added 135K jobs last month, beating analyst's projections. But the greenback's gains were capped amid speculation the next Fed head could be less hawkish than expected continued to weigh. Fed Governor Jerome Powell and former governor Kevin Warsh were both interviewed at the White House last week to replace current Fed Chair Janet Yellen next February. The two men are seen as serious candidates, but Powell is considered as more dovish than Warsh, who has criticised the Fed's bond-buying programme in the past. Powell was scheduled to speak about the Treasury Markets Practices Group at the Federal Reserve Bank of New York later Thursday, while Federal Reserve Bank of Philadelphia President Patrick Harker was also set to deliver a speech in Texas. Spain's King Felipe VI accused Catalan secessionist leaders of shattering democratic principles and dividing Catalan society on Tuesday, while the head of Catalonia's government Carles Puigdemont said the region will declare independence in a matter of days. On a more positive note, another report showed that Australia's trade surplus widened to A$989,000 in August from A$808,000 in July, whose figure was revised from a previously estimated surplus of A$460,000. Analysts had expected the trade surplus to widen to only A$875,000 in August. Oil prices were stable on Thursday on expectations that Saudi Arabia and Russia would extend production cuts, although record U.S. exports and the return of supply from a Libyan oilfield dragged on the market. Russian President Vladimir Putin said on Wednesday that a pledge by the OPEC and other producers, including Russia, to cut oil output to boost prices could be extended to the end of 2018, instead of expiring in March 2018. The statement came ahead of a visit by Saudi Arabia's King Salman to Moscow. The pact on cutting output by about 1.8 mn bpd took effect in January this year. Despite this, there were factors holding back crude prices. Sukrit Vijayakar, managing director of consultancy Trifecta, said that included the return of Libya's giant Sharara oilfield on Wednesday after an armed brigade forced a two-day shutdown. That came after the EIA said late on Wednesday that U.S. crude oil exports jumped to 1.98 mn bpd last week, surpassing the 1.5 mn bpd record set the previous week. The increase has been triggered by the wide discount in U.S. WTI prices against international Brent crude prices which makes U.S. oil exports attractive. Gold on Thursday made its intraday high of US$1282.12/oz and low of US$1270.50/oz. Gold was up by 0.238% at US$1274.55/oz. Silver on Wednesday made its intraday high of US$16.87/oz and low of US$16.52/oz. Silver settled down by 0.301% at US$16.56/oz. Crude Oil on Wednesday made an intra‐day high of US$50.65/bbl, intraday low of US$49.75/bbl and settled down by 0.518% to close at US$49.88/bbl. Based on the charts and explanations above; sell below 50.10-53.00 with stop loss at 53.00; targeting and 49.60-48.90 and 47.80-46.90. Buy above 49.60-46.90 with risk daily closing below 46.90 and targeting 50.10-51.00 and 52.00-52.50-53.00. EUR/USD on Wednesday made an intraday low of US$1.1734/EUR, high of US$1.1787/EUR and settled the day up by 0.136% to close at US$1.1757/EUR. GBP/USD on Wednesday made an intra‐day low of US$1.3232/GBP, high of US$1.3290/GBP and settled the day by up by 0.067% to close at US$1.3245/GBP. Based on the charts and explanations above; short positions below 1.3260-1.3500 with targets at 1.3200-1.3130 and 1.3020-1.2935. 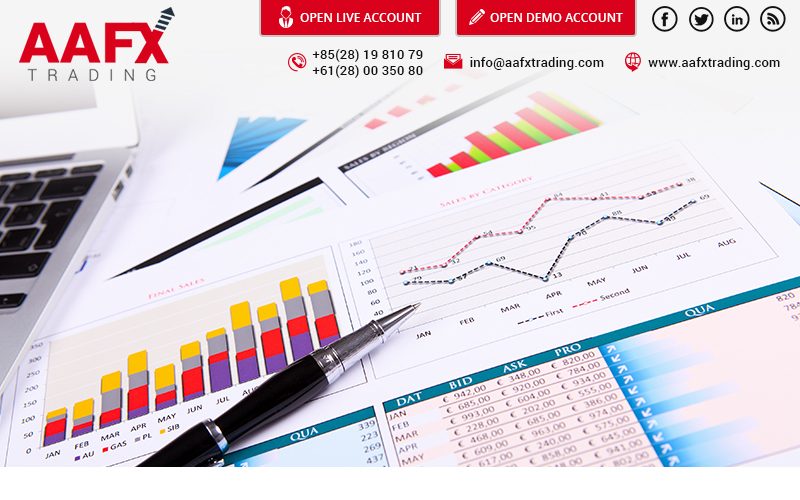 Buy above 1.3260-1.2935 with stop loss closing below 1.2900 targeting 1.3260-1.3300 and 1.3400-1.3450-1.3500. USD/JPY on Wednesday made intra‐day low of JPY112.31/USD and made an intraday high of JPY112.93/USD and settled the day down by 0.0779% at JPY112.74/USD.